So, the show that I prepared a long time for is cancelled today :( because of unstable weather (cold, windy, 40% chance of rain — it’s an outdoor market). But I suppose it’s for the better, I’m really thankful for a day off after a busy week. AND! 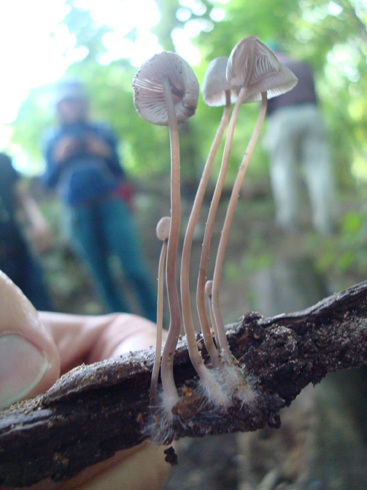 I now have time to show you pictures from the mushroom identification workshop that Mike and I attended last weekend! 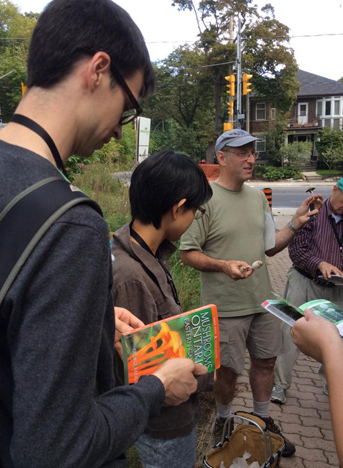 The workshop was put on by the High Park Nature Centre. I’ve been wanting to take the workshop for the past 2 years, but it was always during mid‐term time. This is the first year in a long time that I don’t have papers to write on a weekend! Our day started with an extremely informative and animated lecture from our friendly instructor, Richard Aaron (he does lots of mushroom/fungi workshops throughout Ontario and sometimes in the U.S. too, you can check out his website if you’re interested). 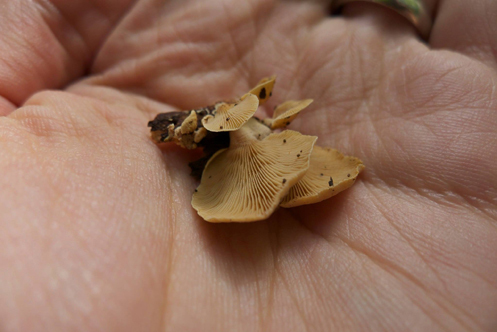 It wasn’t a foraging workshop so we were not eating the specimen we found. Armed with hand magnifying glasses and field guides, we were ready to explore! 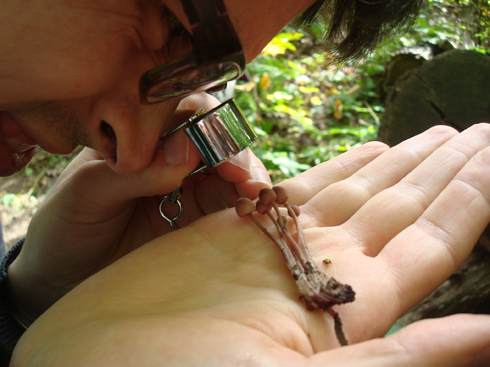 Mike examining some blood foot mycena, which have red liquid inside their stems. Found a piece of bark with the mycelium of the mushrooms exposed. I used to think that mycelium are like the roots of mushrooms but they’re actually the vegetative parts of fungi, like underground branches, I guess. 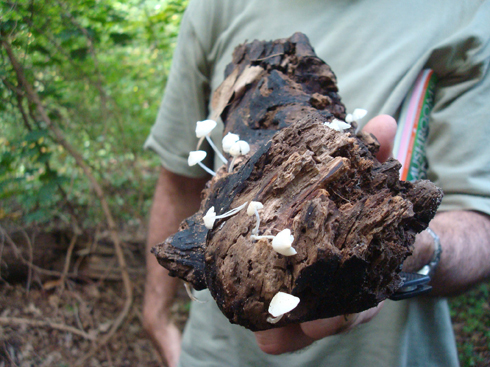 And the mushrooms that are above ground are the fruits or “fruiting bodies” of fungi. Like a sculpture. So beautiful. 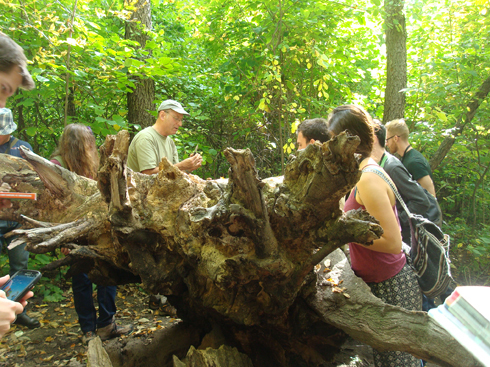 Our group gathering around a fallen tree. 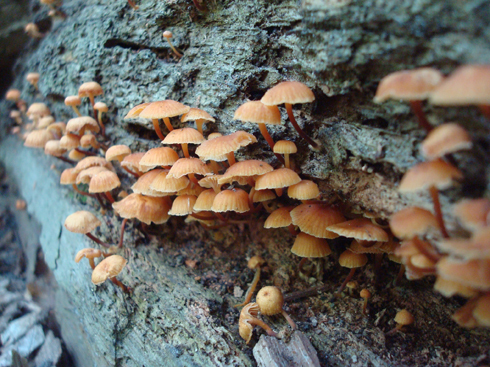 We could easily spend hours looking at all the different kinds of fungi growing in the nooks and crevices of the trunk. 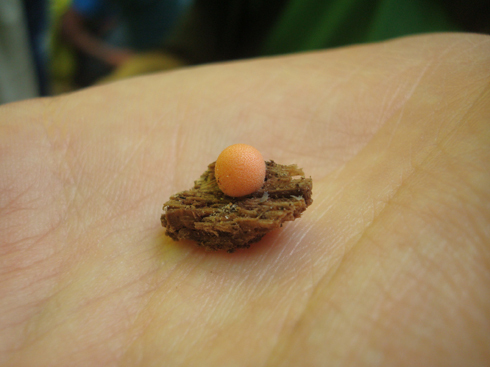 Like this slime mould here. And this troop of fuzzy feet mushrooms. And I can’t remember what these ones are :S But they are beautiful nonetheless. A pig skin puff ball. 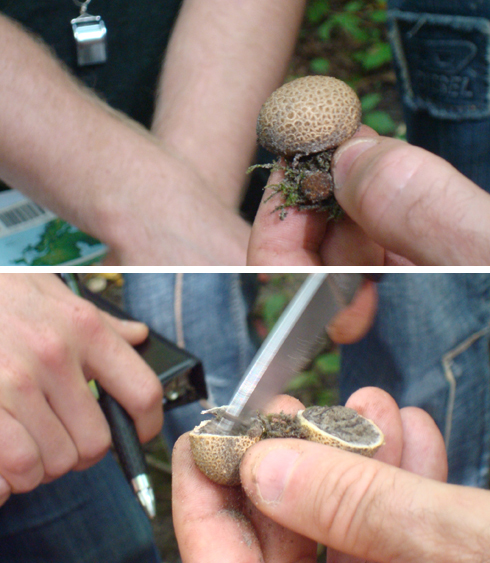 Unlike the edible giant puff ball mushrooms, this one is deadly poisonous, full of poisonous spores inside! 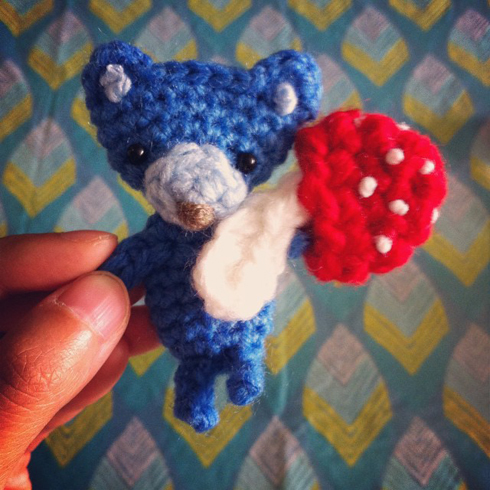 Don’t eat it, bear! This one is definitely poisonous. 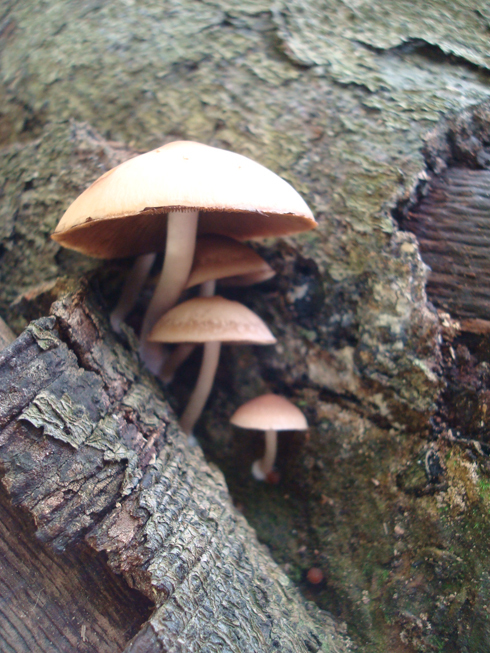 1) Mushrooms are a kind of fungi, but not all fungi are mushrooms. 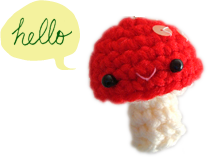 2) Toadstools mean inedible mushrooms. And if you live in the Toronto area, the High Park Nature Centre runs a lot of other workshops for adults and kids throughout the year. Check them out if you’re looking for a fun nature activity on a weekend or evening!